My 9 year old son is obsessed with sports, he loves it all! 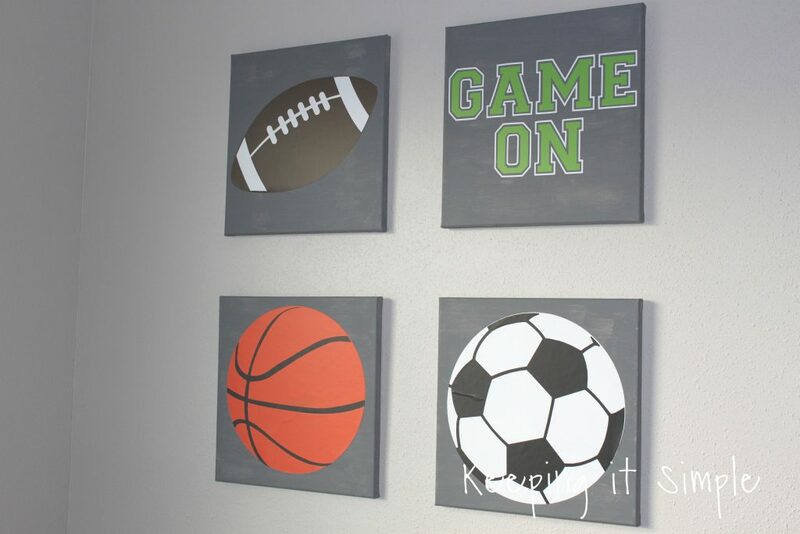 He loves watching and playing them, so when I redid his bedroom, I knew that I needed to put something sporty in there. 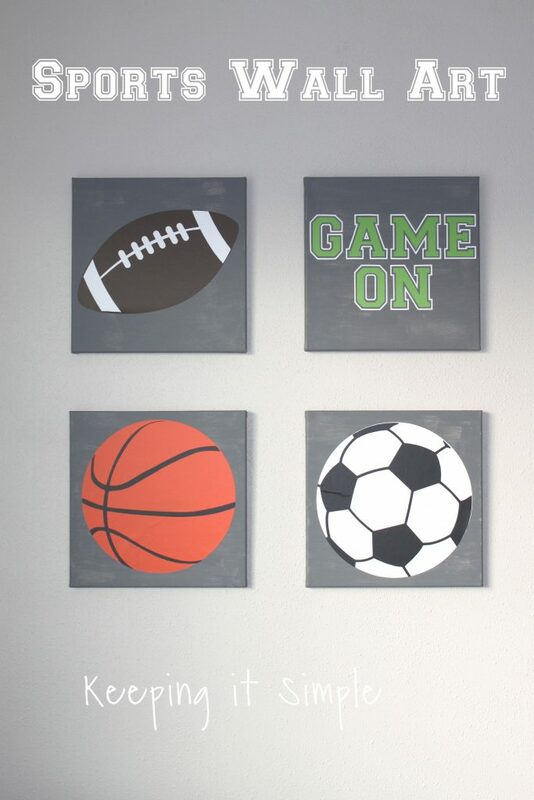 The room has a game theme, it’s all kinds of games including video games and then sports. 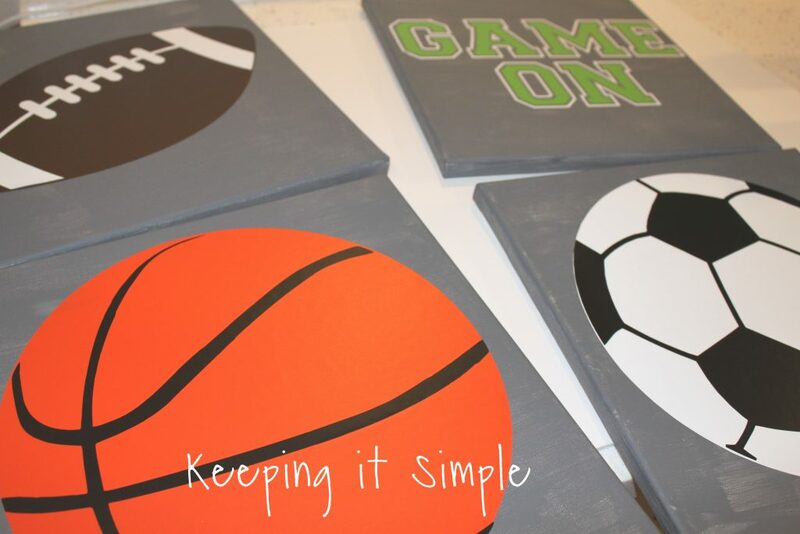 I did some fun wall art on canvases with the video games, so I wanted to keep that theme and do some sports wall art on canvases also. They are super easy to make and I love how they turned out! 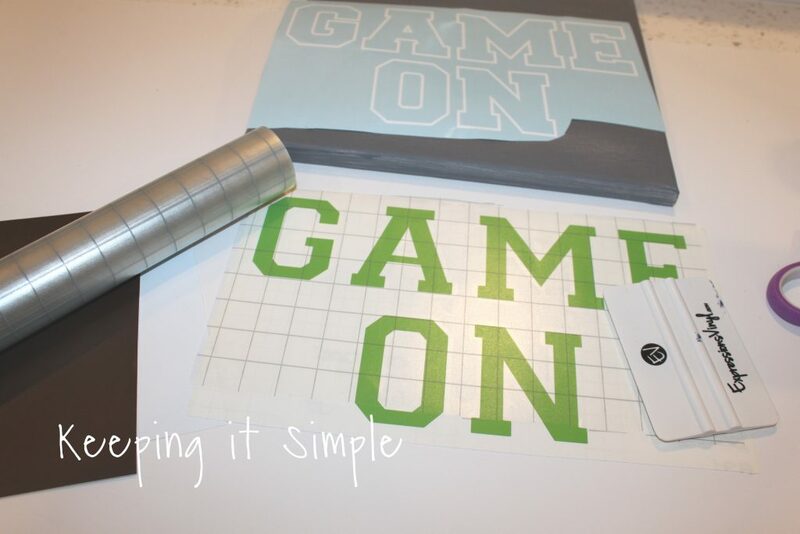 Here is a quick video to show how I made them and how I layer the vinyl. 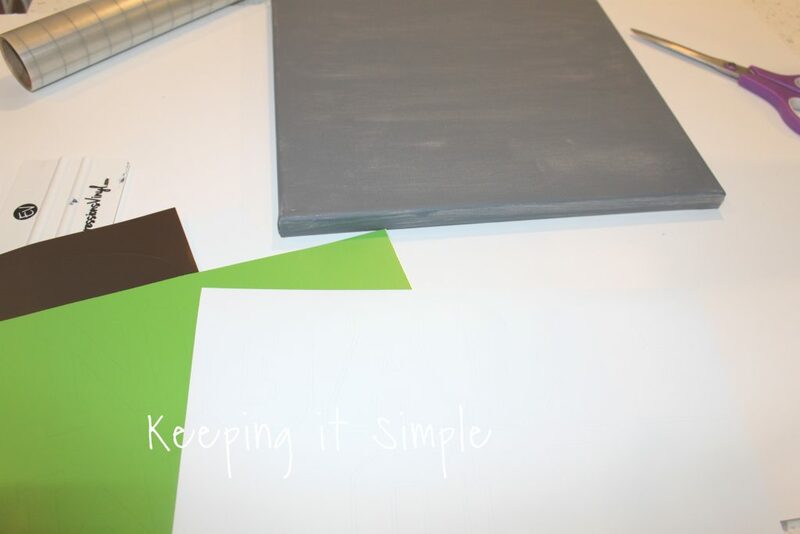 For each canvas there are two different layers of vinyl, two different colors. 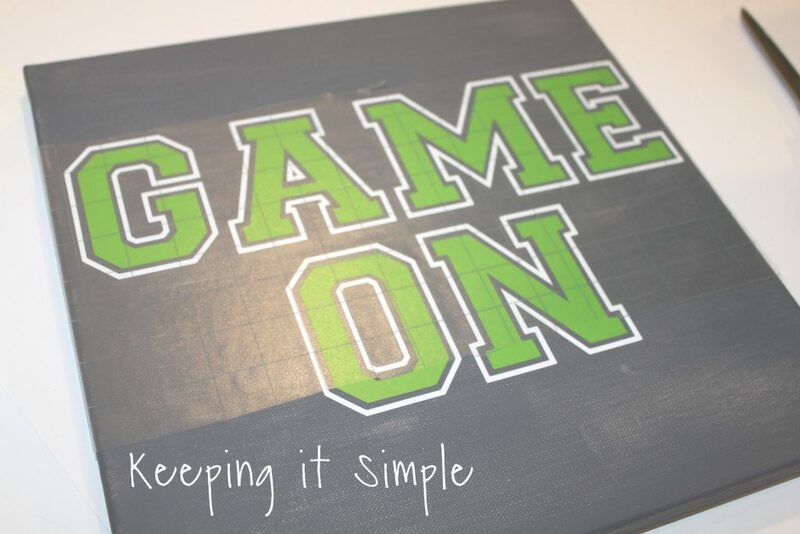 For the GAME ON one, I used white and lime tree green vinyl. 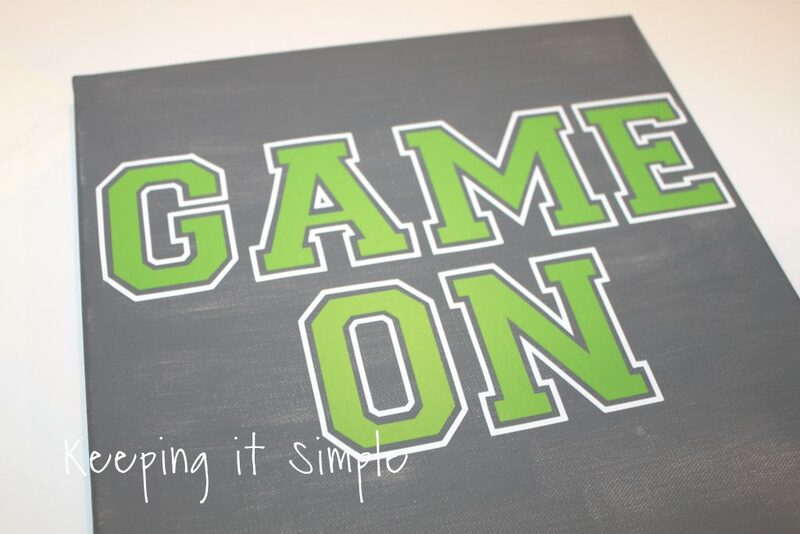 I cut the inner letters with the green and then the outline with white. 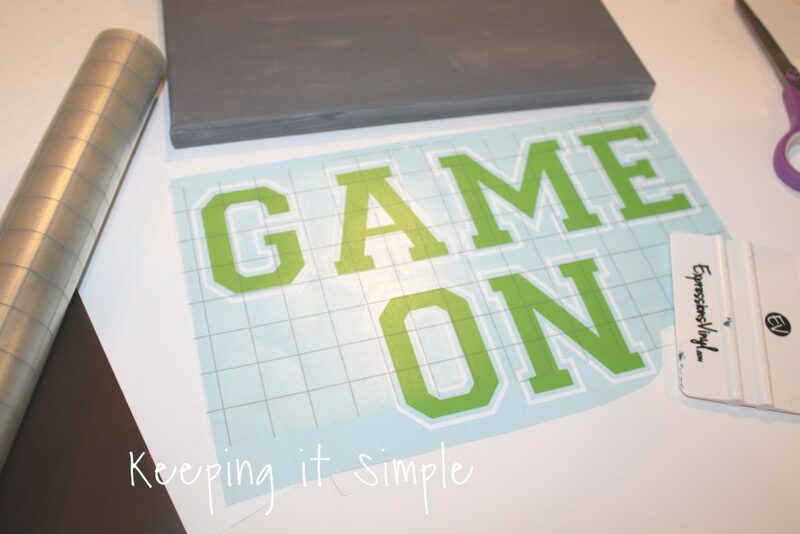 I then weeded the vinyl and used the clear grid transfer tape to transfer the vinyl. I first put it onto the green one, so I could put it inside of the white outline. Here is how it looks with the green inside the white vinyl. 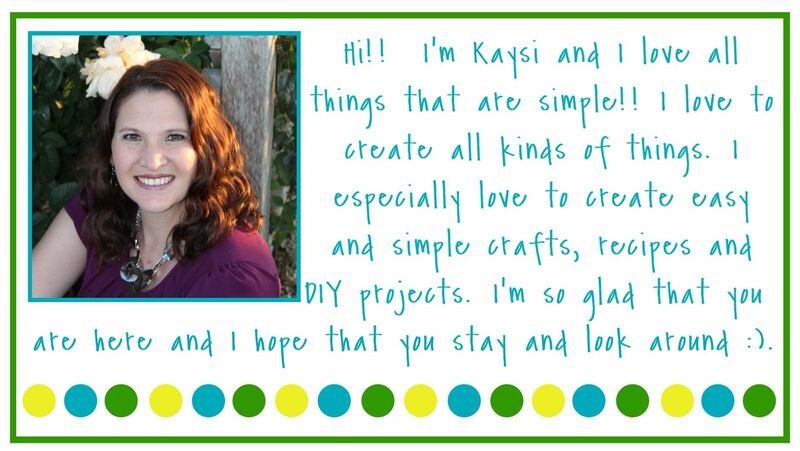 The clear transfer tape makes it easy to line up the layers (I love it!). I then put the whole saying onto the canvas. I love how the green and white look on the gray! I then peeled off the transfer paper, leaving the vinyl on. 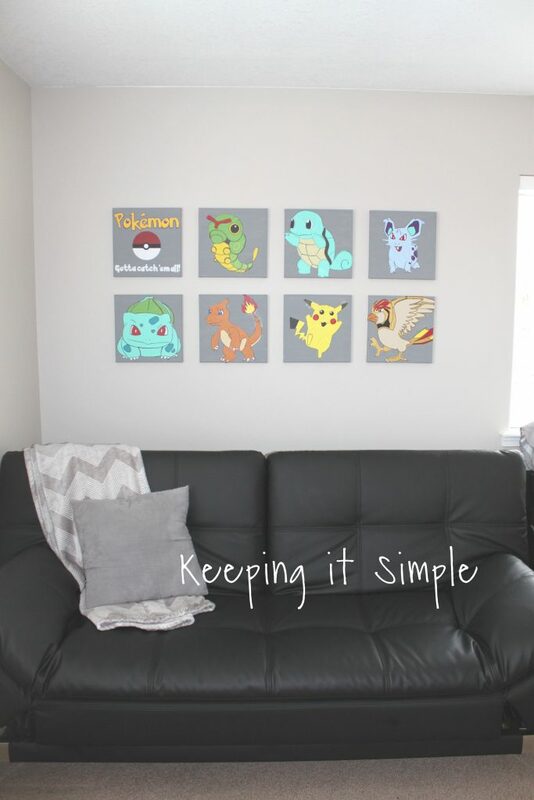 I did the same thing for the other 4 canvases. 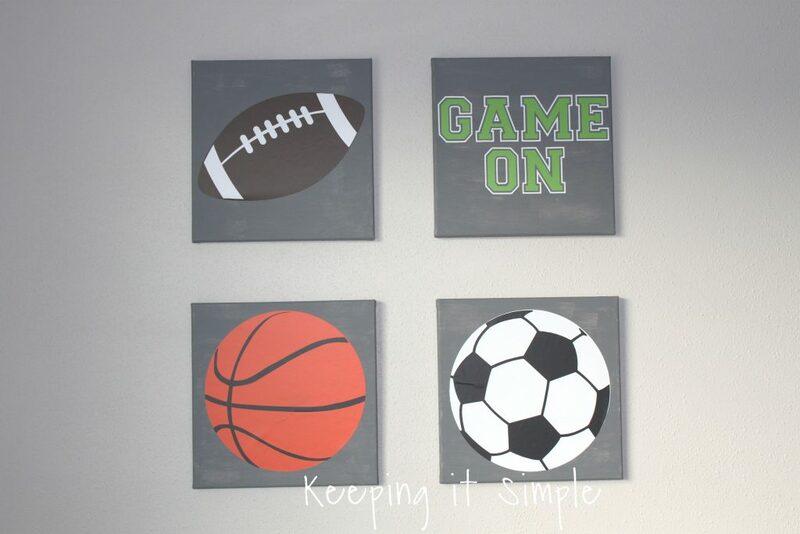 For the soccer ball, I just used black and white vinyl. For the football I used brown and white and then the basketball I used orange and black (those are the actual names of the vinyl, not just the colors :D). 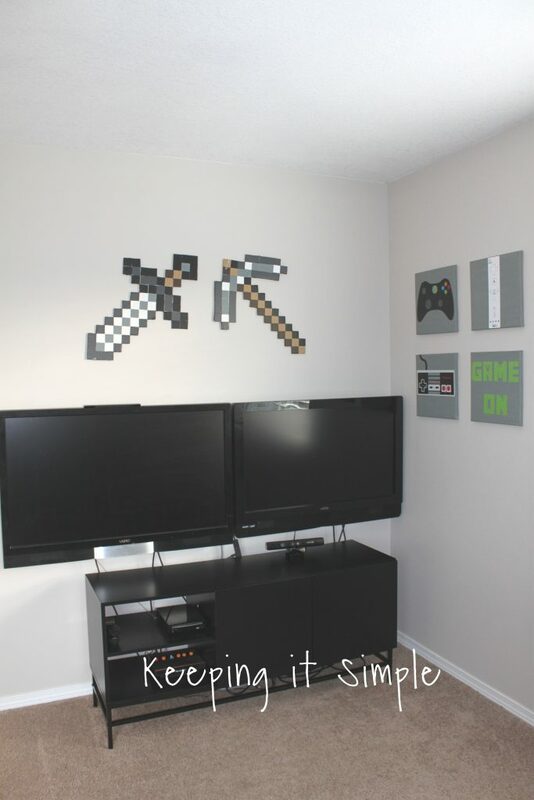 Then with command strips, I put them up on the wall in my boys’ bedroom. And that’s it! Super easy to do but I love how it looks! Here they are in my boys’ bedroom. I love how they turned out! Like this post? 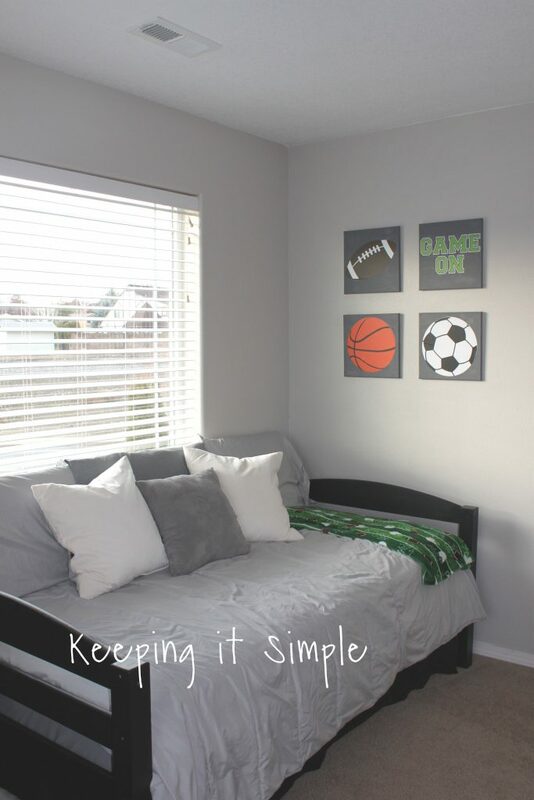 Check out my other ideas for boys’ bedrooms!